Being very technical and mechanically minded it is all too easy to forget about the customer whilst the issues with a vehicle take over our thoughts. Therefore we have employed a strategy of customer care which utilises the Black Ash Park and Ride for clients who wish to head in to the city. We are also happy to drop a client home or to work, or indeed we are more than happy to collect the vehicle from you. 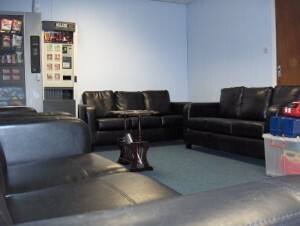 If you wish to wait whilst we care for your car we invite you to relax in our comfortable waiting room. We have installed coffee/tea and snack facilities. Sit back on our leather sofas to watch satellite TV or read, or bring along your laptop to get some work done as we also provide free wifi access. Bringing the kids with you is not a problem, as we have catered for them also with our Kiddies corner.